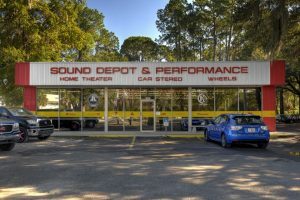 A client from Gainesville recently visited Sound Depot and Performance to discuss some upgrades to his Sea Fox Traveler audio system. The boat came with four sets of Kicker speakers, but it didn’t get loud enough or have the impact the client wanted. After inspecting the boat and taking some measurements, we devised an upgrade plan that would bring his music to life and offer the features he wanted to entertain his family and friends while onboard. A Media Master remote was added at the back of the boat. 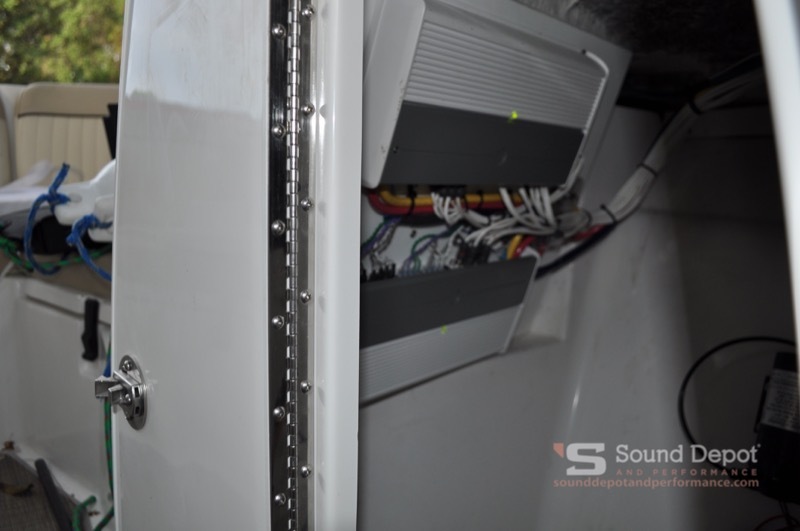 We started the Sea Fox Traveler audio system upgrade by installing a JL Audio MediaMaster MM100s-BE marine-grade digital media receiver at the helm of the boat. This receiver features a 3.5-inch, full-color display that is designed specifically to be visible in bright sunlight. The unit includes Bluetooth 2.1+EDR with the Qualcomm aptX Codec for great-sounding audio when streamed from the client’s smartphone. We added an MM4R-40 remote control to the side of the swim platform to make it easy to control the sound system from anywhere onboard. The amplifiers were tucked out of the way and neatly wired. JL Audio M800/8v2 and M1000/5 amplifiers power the sound system. The amps are mounted in the storage compartment under the helm. We always use yellow and red marine-grade Pacer wire for amplifier installations on boats and JL Audio speaker wire and interconnects. The M1000/5 is configured as a three-channel amp to the new subwoofers and tower speakers we added. The eight-channel M800/8v2 powers the existing eight speakers that came with the boat. We added a subwoofer next to each speaker. The addition of the tower speakers helped keep the party going outside of the boat. 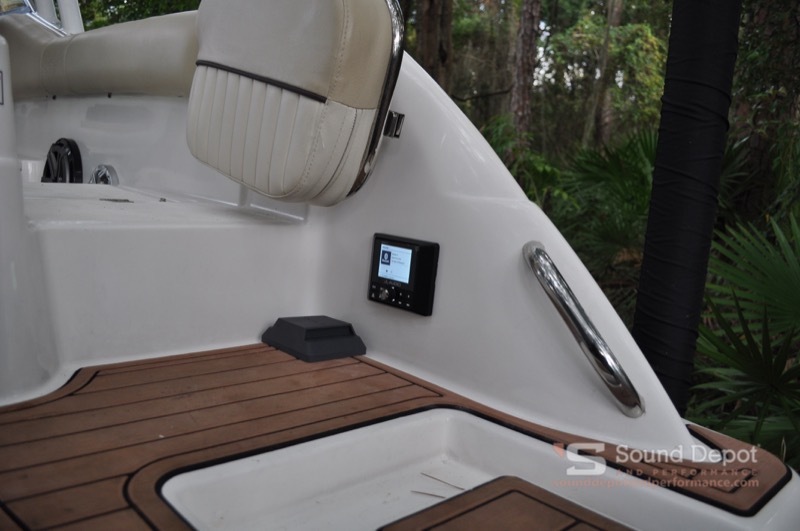 We installed two M10IB5-SG-TB speakers on the sides of the boat near the existing coaxial speakers. 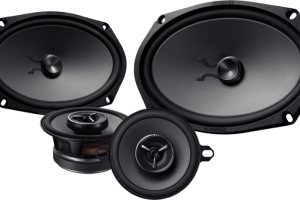 Adding subwoofers to any audio system not only improves low-frequency performance but also alleviates the need for the smaller speaker to try to reproduce bass and allows them to sound better. We installed a set of JL Audio 770-ETXv3-SG-TK tower speaker enclosures to provide entertainment for anyone behind the boat. The enclosures feature 7.7-inch woofers for excellent midbass performance and impressive efficiency. We used a set of M-MCPv3-2.375 mounting brackets to secure the ETXv3 enclosed speaker system to the tubular brackets of the roof panel. 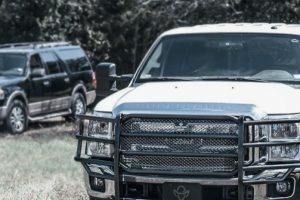 With the equipment installed, the last step was for our team to configure the amplifiers to work with the new JL Audio source unit and speakers. Proper tuning is an important step in ensuring everything sounds great and that the stereo can play loud without distorting. 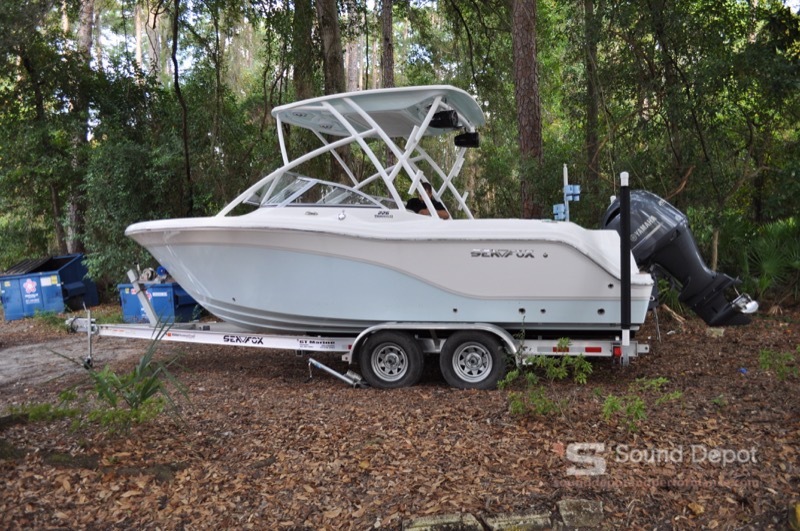 The client returned to Sound Depot and Performance to pick up his boat after a few days of work. He was thrilled with the upgrades we made and loved that everything was neat and tidy. If your boat stereo needs an upgrade, drop by our store or send us an e-mail for more information.